Vitamin C is an essential vitamin you need to consume on a regular basis for your body to function normally. It is necessary for the synthesis of collagen, a structural protein that helps promote wound healing. Vitamin C also helps you maintain a healthy immune system and improves your absorption of iron. As an antioxidant, it protects your cells from free radicals and may reduce your risk of heart disease and cancer. While vitamin C has a number of health benefits, consuming too much can be detrimental to your health. Vitamin C is a water-soluble vitamin, which means that any excess amounts you consume are excreted in your urine, and therefore it has an overall low risk of toxicity. However, you can experience adverse health effects if you consume too much vitamin C. Vitamin C poisoning most often causes gastrointestinal problems such as diarrhea, nausea and abdominal cramping. The Food and Nutrition Board at the Institute of Medicine has established recommendations for vitamin C to meet your physiological and antioxidant needs. The standard recommendations are much higher than the amount to simply prevent deficiency. Vitamin C needs vary depending on age and gender. Infants from birth to 6 months old need 40 milligrams of vitamin C a day and from 7 to 12 months need 50 milligrams a day. Children 1 to 3 years need 15 milligrams a day, from 4 to 8 years need 25 milligrams a day and from 9 to 13 years they need 45 milligrams a day. Teen males 14 to 18 years need 75 milligrams a day and teen girls the same age need 65 milligrams a day. Adult males 19 and older need 90 milligrams a day and adult females need 75 milligrams a day. In addition to setting daily requirements for vitamin C, the Food and Nutrition Board also sets tolerable upper limits to prevent toxicities or poisoning. 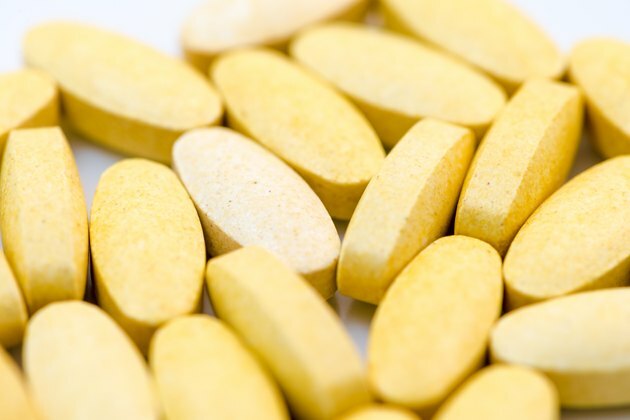 The tolerable upper limits of vitamin C are based on intakes from both food and supplements. Like your daily needs, tolerable upper limits are also based on age. The upper tolerable limit of vitamin C for children 1 to 3 years is 400 milligrams, and for 4 to 8 years is 650 milligrams. For teens 9 to 13, the tolerable upper limit for vitamin C is 1,200 milligrams, and for ages 14 to 18 it is 1,800 milligrams. The tolerable upper limit of vitamin C for adults over the age of 19 is 2,000 milligrams a day. While acute symptoms of vitamin C poisoning are easy to recognize, the long-term effects are more subtle. Vitamin C enhances iron absorption. If you have high-iron stores, consuming an excessive amounts of vitamin C will cause your body to absorb too much iron, which can damage organs. Also, while vitamin C acts as an antioxidant, it also acts as a pro-oxidant, enhancing free radical damage. A 2004 study published in "The American Journal of Clinical Nutrition" investigated the effects of vitamin C intake on cardiovascular death rates in 1,923 postmenopausal women with diabetes. The study found a positive correlation between death rates in the women who supplemented their diets with at least 300 milligrams of vitamin C a day. International Journal for Vitamin and Mineral Research: High-Dose Vitamin C: A Risk for Persons with High Iron Stores? The American Journal of Clinical Nutrition: Does Supplemental Vitamin C Increase Cardiovascular Risk in Women with Diabetes? Can Kids Overdose on Vitamin C?